I wanted to take a quick second and wish my amazing fiance a happy birthday! Poor guy has to work all day and night but we were able to celebrate early by attending opening night of Jersey Boys Musical at the Straz Center in Tampa. It. Was. Amazing. JERSEY BOYS, the Tony®, Grammy ® and Olivier Award-winning Best Musical about Rock and Roll Hall of Famers The Four Seasons: Frankie Valli, Bob Gaudio, Tommy DeVito and Nick Massi. While I am very familiar with the Four Seasons, I found my self shocked as to how many hit songs they have and sang through half of the musical. Sorry to those who sat beside me. "Sherry", "Big Girls Don't Cry", "Rag Doll", "Oh What a Night", "Can't Take my Eyes Off You", and many more. I loved learning the story about four blue-collar kids became who became one of the greatest successes in pop music history. The hit songs I mentioned above - they wrote them all. Before they were 30 years old, they sold over 175 million records worldwide. Besides the amazing performance, I was very impressed with the stage. I spent my childhood and high school years in drama, so I pay special attention to the stage, set up, props, etc. I can honestly say that last night will not be the last time we will see this show. It was by far the best traveling performance I have ever seen. No wonder Times Magazine proclaimed that Jersey Boys "will run for centuries" and tonight, #JerseyBoys broadway will surpass the record held by 42ND STREET to become the 13th longest running show in Broadway History. Congrats! 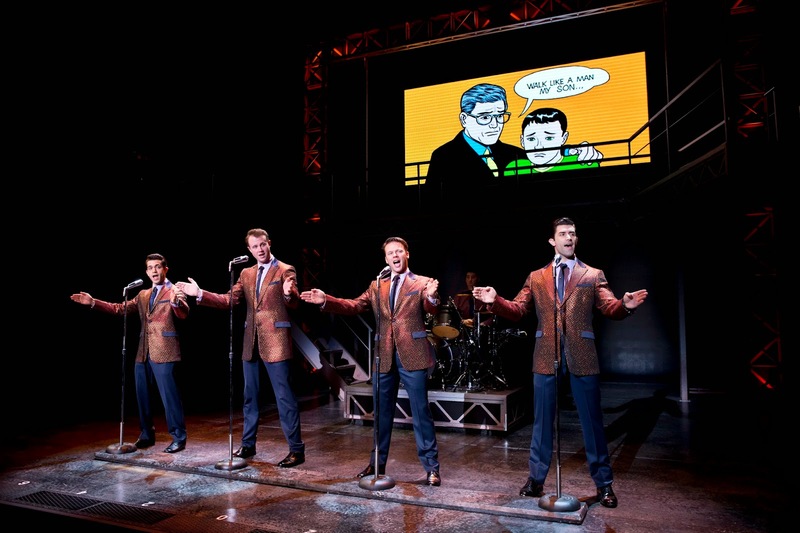 The JERSEY BOYS creative team comprises two-time Tony Award-winning director Des McAnuff, book writers Marshall Brickman and Rick Elice, composer Bob Gaudio, lyricist Bob Crewe and choreography by Sergio Trujillo. The show contains smoke, gun shots, strobe lights, drug references, sexual situations and authentic “profane Jersey language. 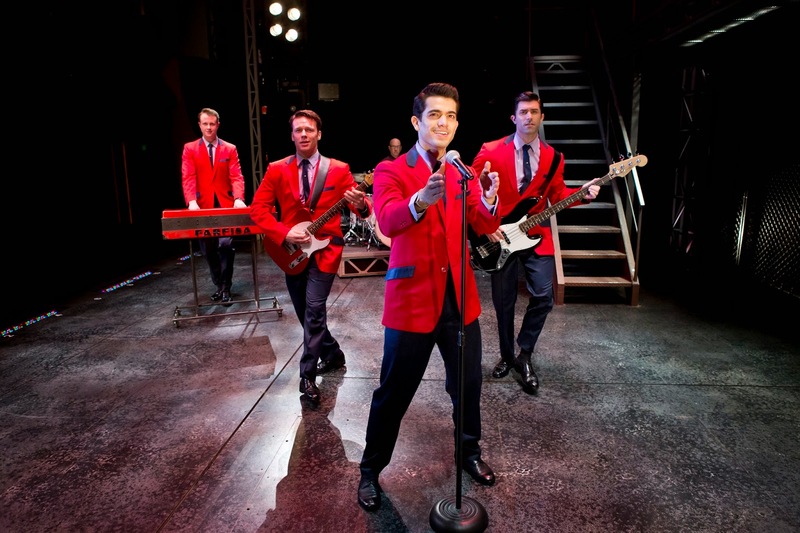 Jersey Boys the Musical is in Tampa through April 13th with two shows on Saturday and Sunday. 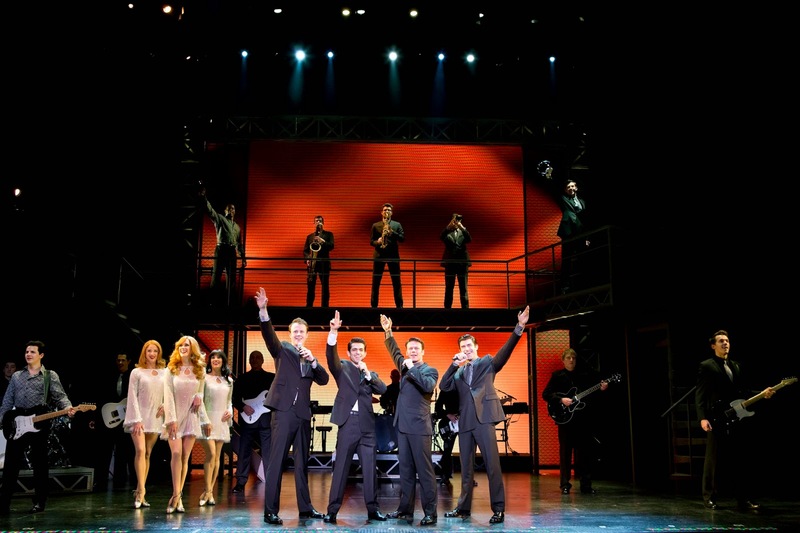 Here's a fun fact - Hayden Milanes, who plays Frankie Valli, was born and raised in Tampa! Tickets run from $48-$116 and can be purchased by clicking here. Saturday, April 12, 2 & 8 p.m.
Sunday, April 13, 2 & 7:30 p.m. I loved the show! Great review! I am so glad that Gabe could go with you. Jersey Boys is on my bucket list of musicals to see. I'm a musical-obsessed girl, it's true.